At Harrisons we stock a wide range of wholesale soft toys that your customers will love! From pony keyrings to adorable woodland animals, we have a great range available to buy online! Order online by 12pm and in most cases receive your items the next working day. With a 98% Feefo rating there is no need to shop anywhere else! Loved by children of all ages and even some adults, don’t act like you don’t guys, wholesale soft toys are a must have for all our clients looking to stock a selection of toys and gifts. 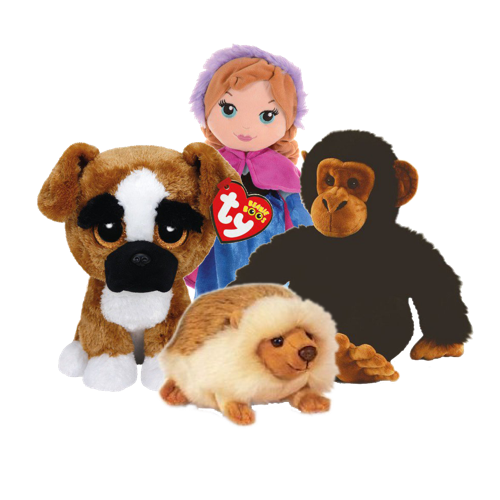 Cuddly and comforting we stock wholesale soft toys from some of the biggest brands including Keel and the highly collectable TY! If you missed it we recently created a brand guide on the TY brand, go check it out! With over 95 years experience in the wholesale industry we know you can’t go wrong with a cuddly teddy bear and luckily for you our selection of wholesale soft toys contains a number of cuddly teddy bears that all kids are guaranteed to love. For example the Belle Rose Bear 25cm 3 Assorted, Bramble Bear and the Hamish Bear With Tartan Coat are great keepsakes and extremely cuddly! For those kids, or adults, who prefer cuddling up to the wholesale soft toy version of their favourite animal then we cater for them too. We stock a selection of cuddly animals ranging from a Husky and Labrador to an Orang-Utan and Giraffe and everything in between! Wholesale soft toys make great souvenirs, which is why we stock a range of cuddly soft toys sporting flags or destinations including the Blue London Heart Bear, Cornwall Keychain, Scottish Hoodie and the Wales Bear With T-Shirt. 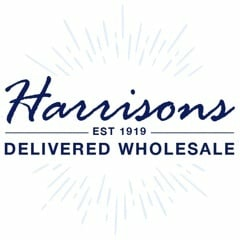 Why buy wholesale soft toys from Harrisons Direct? Along with our excellent selection of wholesale soft toys we pride ourselves on offering exceptional customer care and a timely and reliable delivery service. In other words we like to offer the full package. So if you’ve got a question you’d like answering or can’t find the wholesale soft toys you’re looking for then be sure to give our customer care team a call on 01254 306840. Going that extra mile and as a way of saying thank you for your continued custom we recently launched Harrison’s Rewards! You’ll receive points for every item bought online, which you’ll be able to use to get money off future purchases here at Harrisons Direct.